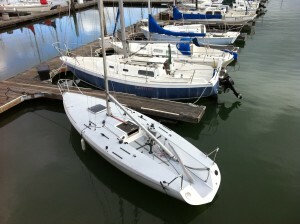 Moore 24’s were one of the first planing keel boats. 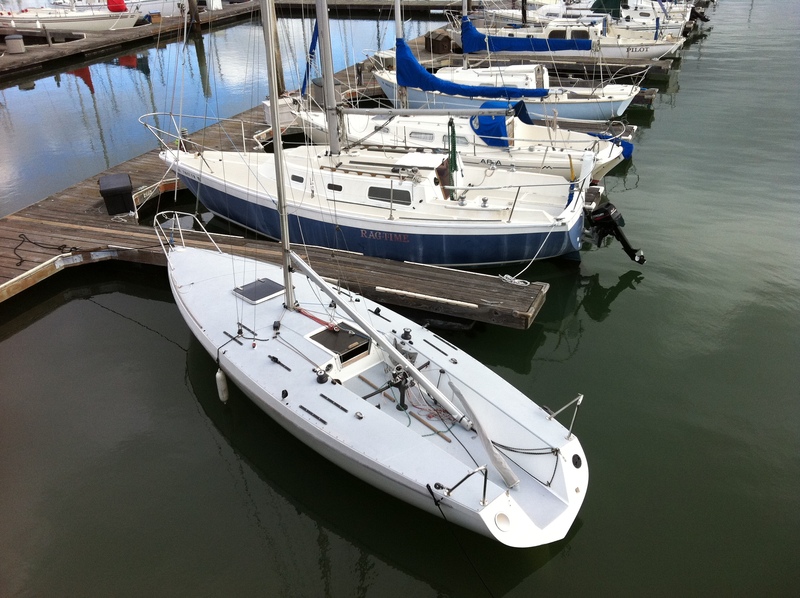 Even though many are 30 years old they’ve stayed competitive with progressive “in the spirit of the rules” one-design modifications such as open transoms and cleaner rigging. Fleet founders started the “Roadmasters” series back in the 80’s. Many races up and down the west coast. Trailers needed. Karl’s trailer was adapted for Moore 24 use in Seattle; it towed Moores up and down I-5 dutifully for many years. Unique construction using upside-down trailer jacks for quick adjustment. 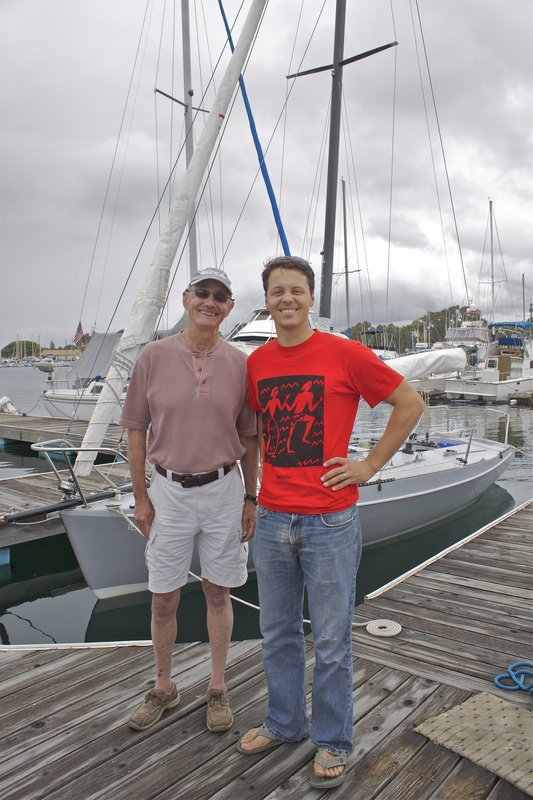 Webb Chiles, a 70-year old who circumnavigated the globe five times, was getting ready for a 6th – in a Moore 24! He was heading to Hawaii from San Diego then ‘round the world in his recently acquired “Gannet”. Trailer no longer needed. Karl jumped at the chance to upgrade when he saw Webb’s trailer for sale. 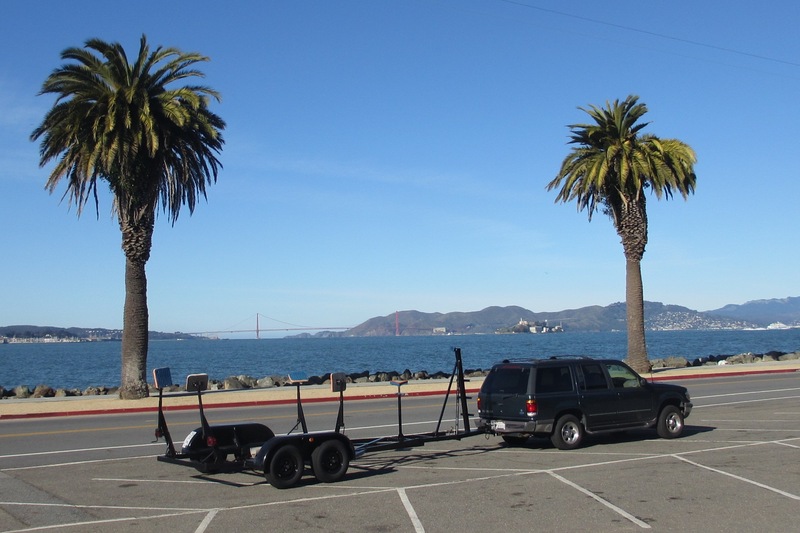 Now Karl has a new travel-mate for his #121, “Snafu” and TISC has a sorely needed trailer for our J/24 fleet. Karl (and Webb), THANK YOU for your support. TISC students will benefit from a recently-donated J/24 thanks to your generous donation – and we’ll keep you posted on our Moore 24-to-J/24 trailer conversion. Here are a few links to Webb Chiles’ recent and past adventures and the 2013 Roadmaster Series. If you have more send them along and I’ll post them for others to enjoy. Schedule for this year’s Moore 24 2013 Roadmaster series. 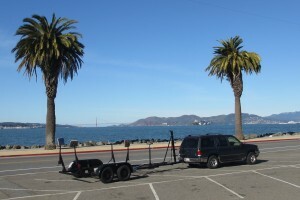 This entry was posted in Uncategorized and tagged Clipper Cove, J/24, Moore 24, Roadmaster Series, San Francisco Bay, TISC, Treasure Island Sailing Center, Webb Chiles by skippersgift. Bookmark the permalink.